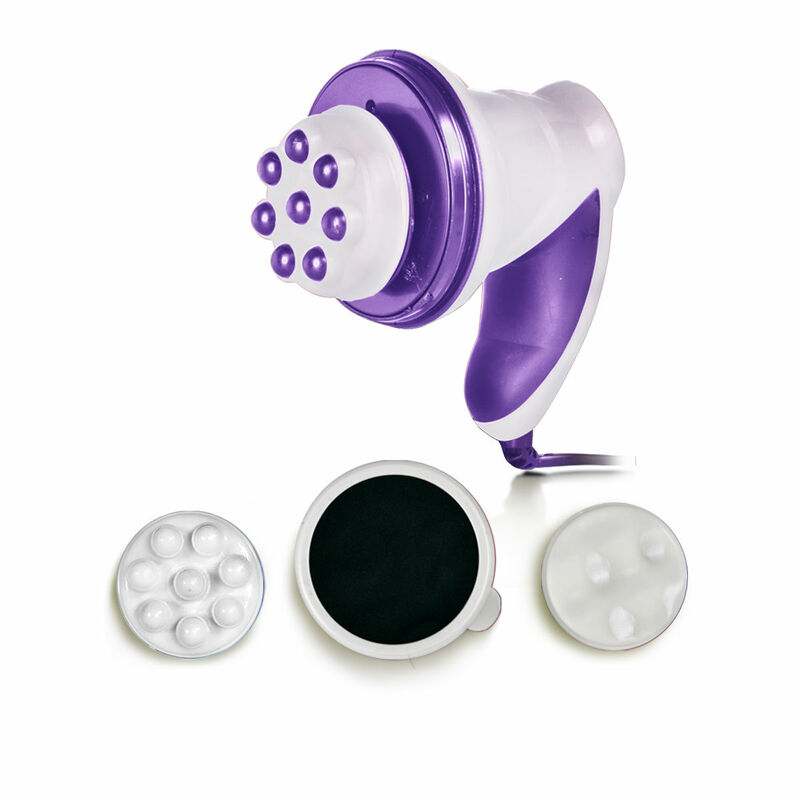 Target those fat pockets by using the amazing cellulite remover with the Complete Body Massager. Get rid of cellulite by increasing blood flow to the area due to the vibration motion. This motion, whose speed can be increased or decreased, helps burn extra fatty tissues and in turn, also helps relax your aching muscles. While this massager eases and relaxes your muscles, it also helps stimulates your skin, drains excess fluids, and releases trapped toxins. This handheld device features a powerful yet quiet motor (25 W), a variable speed regulator (2200-2500 RPM), etc. Attachments to this device includes a wave cap, roller cap and a mesh cover. Make sure you use the mesh cover with wave cap only, and not the roller cap by all means. The mesh cover, used in combination with the wave cap, is suitable for areas which may cause hair entanglement. Avoid using the roller cap in areas which may cause such hair entanglement. It is a complete body massager - use on the under arms, waistline, neck, shoulder, arm, hip, belly, thigh, calves and calf areas! It not only breaks up cellulite but also smoothens out the skin. Get yourself toned and firm muscles while there is stress release and improved circulation via this massager. Complete body massager is very helpful product,If you are suffering from body pain or do you want get relax after massage you will feel very good..
Can we use this for head massage? Does this product helps to reduce belly fat?